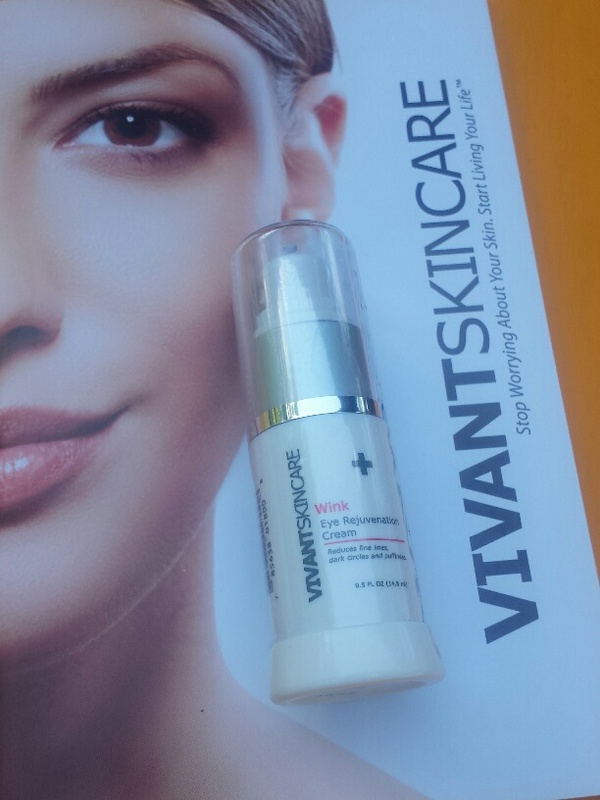 Product Review: Vivant Wink Eye Rejuvenation Cream…. Over the past month I have been testing out an eye cream from Vivant Skincare. Vivant Wink Eye Rejuvenation Cream does just what it says. First let me share with you a description of the product from Vivant Skincare. *** A high-performance formulation of antioxidant and free radical-fighting ingredients, Wink combines Vitamin A with Oligopeptides, caffeine and grape seed oil to soften fine lines, lighten dark circles, and reduce puffiness. This concentrated, age-defying formulation also leaves skin looking brighter, giving the skin a more youthful appearance. Speaking for myself the most important aspect of an eye cream is hydration. Love that this cream hydrates the sensitive skin under the eye, but it’s not greasy. I find the texture is rich, and creamy. Find that it absorbs quickly! As I have used Vivant Wink Eye Rejuvenation Cream have noticed a reduction of the darkness under my eyes. It has also helped with the puffiness & tired looking skin. Have noticed a slight brightening to the skin under my eyes also. Only negative aspect is the product dispenser. I can barely touch the pump top, and far to much product comes out. Wish that Vivant would redesign the dispensing pump. Other wise that is the only negative. The eye cream itself is amazing, and delivers on it’s promises. Love that.